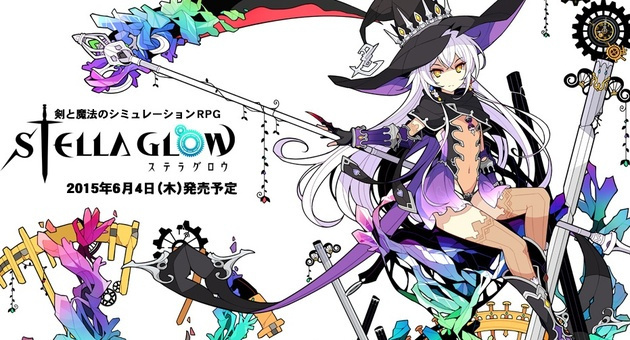 Developer Imageepoch is well known by fans of the Japanese gaming scene and recently completely 3DS exclusive Stella Glow, which is being published by SEGA in Japan and Atlus in North America. Unfortunately, news around the developer took a troubling turn in early April with the disappearance of CEO Ryoei Mikage. After reports earlier in the year that the studio was losing many of its top staff, it emerged that Mikage-san was proving impossible to contact, while Imageepoch's websites went offline; in addition its office was reportedly up for rent and the phone number no longer active. There's been no official word in the month since, and Mikage-san's Twitter profile has now been deleted after it had initially remained online. That rules out a potential medium for communication, while it's impossible to know whether Mikage-san removed it himself or whether someone else did it on his behalf. Stella Glow is still progressing towards its respective releases, featuring in Famitsu magazine recently under Sega's promotion. Unfortunately the circumstances around Imageepoch and its CEO are far less clear. He was supposed to be the savior of JRPGs. Jokes aside though, I hope he's OK. Most likely just dodging people he owes money, but it could always be worse. Was there a report somewhere that he owed someone money? I don't remember seeing that. @Quorthon His company kind of went belly up. Most likely quite a bit of debt involved there. Is there any way to track where the account was taken down from? Apologizes if I'm wrong, I don't know how these type of things work much. Glad to see the game's Still on track, as long as there's no Atlus tax I'm all for it. Hope he's ok but if he simply just skipped out he needs to man up! Eh, maybe. Without some kind of evidence, I don't think you can really make that claim. People disappear for a wide variety of reasons, and without evidence, putting it just on money is no better than saying "sasquatch did it" or that he was raptured, even if it might be more realistic. Stress, mental breakdowns, mental disorders, abductions, paranoia, death--the list is basically unlimited. While it focuses on statistics in the US, many, if not most or all, could easily be applied to pretty much any country, with varying numbers (based on population). For one thing, at least in the US, missing persons cases are viewed with low priorities compared to things like murder, or robbery. In the US, there is generally 100,000 active missing persons cases at any given time. That's a lot of people that just up and vanished. This guy is notable because he's in a high position in a company which may or may not be related to his disappearance. No one can really say. Money might be one thing, if he absconded and took a bunch with him, but instead, he just basically "vanished." @Quorthon I wasn't making any claim, just that that's a likely case. Thanks for the true crime documentary though. "Most likely just dodging people he owes money, but it could always be worse." "His company kind of went belly up. Most likely quite a bit of debt involved there." It's sad news what's happening, since they are the force behind some of the Japanese games I really like (the Fate/EXTRA series in particular). I hope that they didn't get forcibly dissolved and folded. That's really sad. I absolutely loved Arc Rise Fantasia, it had a slow start but after that it got really epic story-wise & the music was fantastic. I knew it would never happen but I dreamt of making a sequel that followed on from the end of the first game & I had some really interesting ideas if I do say so myself. Sadly that's even less of a chance of happening now. Not to mention the sad missing of a human being. Clearly this must be the work of aliens. @ericwithcheese2 Er, both of those quotes have the word "likely" in them... as in "I wasn't making any claim, just that that's a likely case." @Aozz101x Do hope you meant find, haha. @CaviarMeths Er, that's a technicality and you know it. It's spread unproven rumors under the guise of "likelihood". And its rumors because your "likely" claims have no factual evidence to back it up - its just opinion and done so in a way to insinuate the worst. There has been no mention of missing money or debts, though--except for unsubstantiated rumors. A game company can melt down for a variety of reasons. All we've had is bizarre notes of abandoned offices, developers looking for new jobs, development within the company quickly losing steam, and a missing CEO. Even if it is money, this is a bizarre turn. They delivered a completed game (Stella Glow) to Sega/Atlus, and then just packed up shop and vanished? Money is easy to assume, but without evidence, should not be assumed--and there appears to be no solid reference to actual money woes. We shouldn't jump to conclusions. It's fine to speculate that money could be a part of it, but until we know better, it'd be irresponsible to speak confidently on it. That is, until he turns up on an expensive yacht in the Mediterranean sitting on a pile of Imageepoch money saying, "what? I just found all this money." Whatever is going on its strange happenings for sure. I hope the guy is OK who cares about the game. Hopefully its something as simple as a workplace dispute and he is just laying low and doesn't want to talk to anyone.